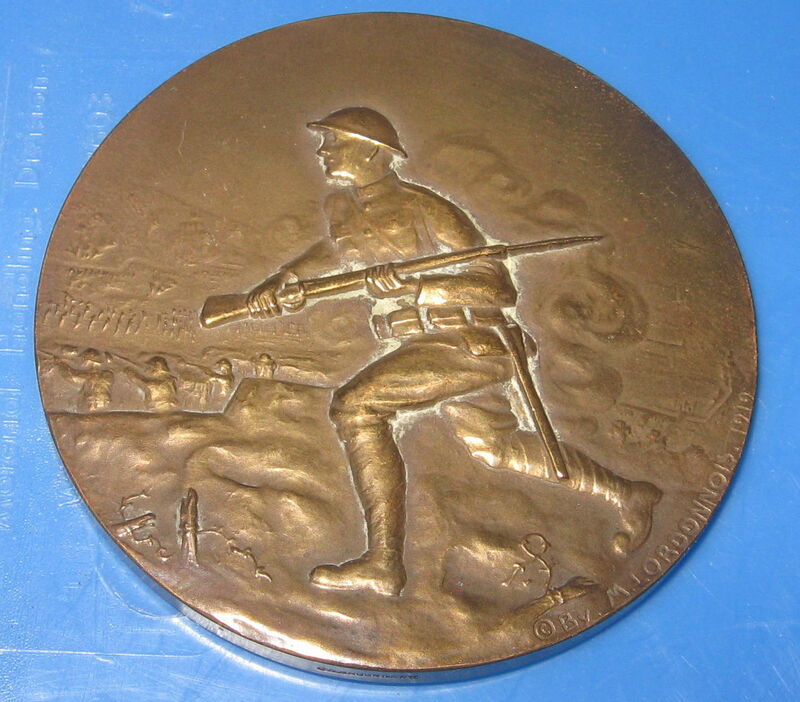 The obverse shows a Soldier charging across a World War 1 Battlefield. 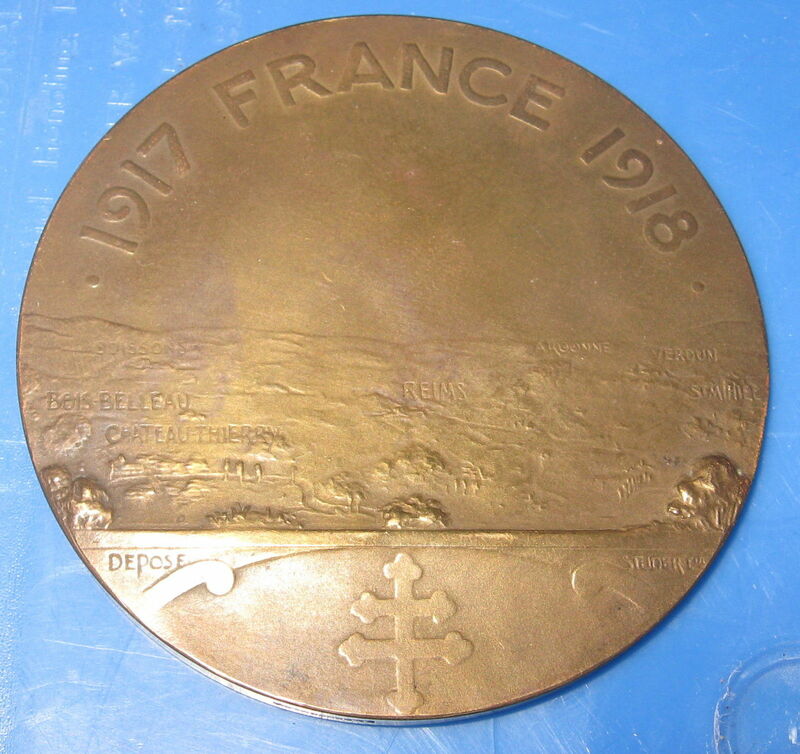 The reverse is a view of France, with the areas of key battlefields indicated. Across the top is "1917 FRANCE 1918". 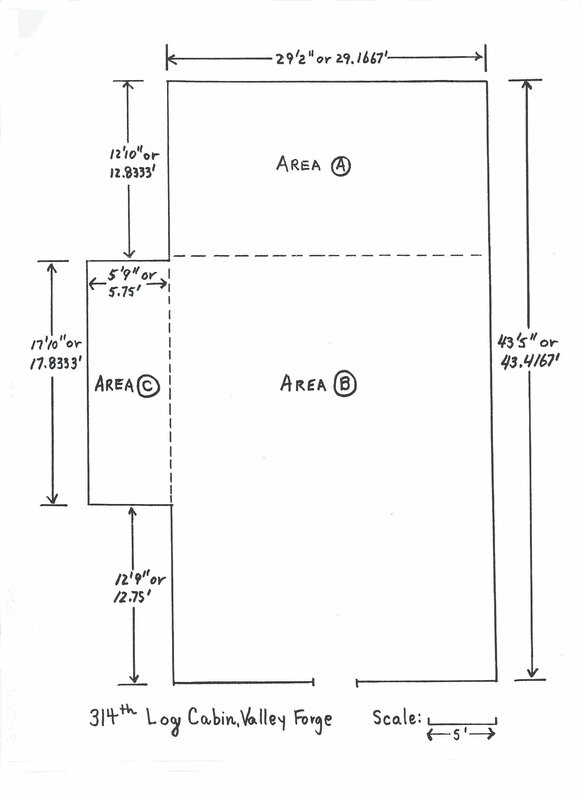 The edge is stamped BRONZE.